The Golden Age is definitely here to stay. As we all ascend in our Consciousness Levels, the Universe brings forth miracles to help us as well as our Beloved Earth! Thoughts and words are powerful in creating our future. Visualisation is an even more powerful creator. 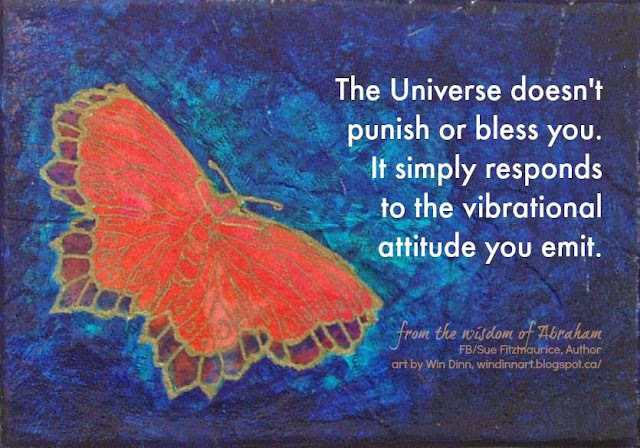 The Universe responds to the emotions we project into it. The principle of Parabrahmam is the same. The Parabrahmam responds to our feelings. You feel abundant; you get more abundance. You feel healthy; your health improves tremendously, so on and so forth. But the mind attaches itself to the present state – of pain, of lack and the like. How to turn around your mind? It’s not easy. But then again, it’s not impossible. A very effective tool to turn around the mind to positivity is “gratitude”. Gratitude can be used in two ways. 1. Thank God everyday for what all you have. I even thank God if I am hurt; if I have a fever; if there had been an argument or fight at home. This is projecting to the universe that everything that comes my way is the “best” that can happen to me at a given point in time. Of course, I thank for these along with all great things too – like my family, my pet, my home, daily sales of my books, increase in the hits of my blogs; the food I eat, the AC that I have on for so many hours at home, my PC, my cell phone... you get the drift. This is showing thankfulness for things that you already have; telling God that all that He is giving you is only for your best. 2. Thank God for all those things that you want to happen to you. This is creating your future. You don’t ask for what you want. You “thank” for what you want, taking it for granted that it is going to happen. Doing “1” will make “2” easier to materialise. I started maintain a Gratitude Journal from December 2013. I think most of my friends know how my life as an author has turned around from 2014 – in leaps and bounds. I had self-published 4 books (3 novels & 1 anthology) in 2014, on Amazon. The Book Club happened to me. It was as if Rubina Ramesh had created it exclusively for me. I mean no offence to the other authors who are being promoted on this platform. But TBC has worked wonders for my book sales. I am absolutely grateful to The Book Club, Rubina and a host of bloggers and authors who come together to review my work, interview me and host me on their blogs. A mammoth effort that appears effortless but it’s definitely not so. Every time I think it’s fabulous and I am having the best time of my life, it gets better. Like 2015 has brought to me a traditional publisher – Readomania – who’s keen to publish my book; I have my own website: www.sundarivenkatraman.com. I have Nilima Mohite to thank for this one. A-Z April Challenge 2015 was another fabulous venture that brought me a lot of friends online. It also challenged me to write a different genre of short stories altogether. For this, I have to thank Rubina again as it was she who introduced me to writing mythological fiction. I also thank the A-Z Challenge team. It was a truly enlightening experience while being absolute fun. All this while, Bhagavan had been training my mind, I realise - to remove its focus from negativity towards positivity. It’s not that negative thoughts don’t occur. We are still moving through 4th Dimension and negative thoughts are still present, though weaker. What happens is that with constant awareness, I know the moment a negative thought enters my mind and am able to pull myself out of it, before it takes form in my outer world. Visualisation goes a long way in helping my cause here. Amma advised me to download pictures from the internet or scan copies of photos from the family album – like I weighed 30 kg less a few decades ago. Seeing an old picture of mine and holding it in front of me for a few minutes every day will go a long way in pushing me towards losing weight. May 20 has been declared as World Oneness Day by Amma Bhagavan. May 20, 2015: the energies have changed tremendously. We have reached a point in our evolution when our powerful thoughts and visualisations project immediately. We are creating as we think. Forget about having negative thoughts. Train yourself to create exactly what you want. The clearer and more colourful your visualisation, the faster it becomes your reality. Yes, it’s already happening in my life. And I am sure in all our lives. I am noticing it in the smallest of things. I will be writing more articles on the miracles that are happening in my life. And when you thank again and again – God gives you even more than what you ask. Because He knows what we need way better than we know ourselves. AND He gives only wonderful things. Forget the punishing God – She doesn’t exist. This happened yesterday and I felt the need to share this experience with all of my readers. My daughter Vinny sprained her right ankle very badly and it was when we went to the Orthopaedic in Khar that we came to know that she has a tiny fracture as well as a ligament tear. She couldn’t place her right foot down anyway and keeps hopping when she needs to move. We live in Sion and people living in Mumbai know that Auto-rickshaws ply only in certain parts of the city. They come right up to the end of the road where my building is situated. We need to walk about 100 metres to reach our building. It was around 6.30 when we left Bandra and unable to find a cab, we took an auto-rickshaw – Vinny, her fiancé and me. I prayed to Lord Muruga that somehow the auto-rickshaw should be taken to the building’s gate so that Vinny doesn’t have trouble hopping those 100 m inside the road. When praying to God, it’s best not to bother about the logistics. That’s for the Supreme Intelligence to deal with. I just go into surrender and gratitude and ask for what I want. And get exactly that. How the Divine goes about it is again just not our business. We just need to sit back and enjoy the ride; which is what I did yesterday. The moment the auto-rickshawala reached the highway on the opposite side to where my road ends, he refused to go further saying that only a week ago he had been fined Rs. 1200 and he didn’t want to undergo a similar experience once again. Vinny got irritated as she already was in pain. Her fiancé was at his persuasive best to make the rickshawala take his vehicle across as crossing the road is next to impossible in the evenings and taking the subway was out of question. I suddenly saw God’s hand in the situation. Of course, that was also because of His blessing only. I told the driver, “You please take us across the road and drop the other two as my daughter is unable to walk. I will return with you to the same side of the road after taking a U-turn and get off this side. This is to ensure that you don’t land in trouble. If a cop questions, I will be in your vehicle and I will pay the requisite fine.” He immediately agreed and would have probably driven us to even Timbaktoo at that point. For the first time in 30 years (since I got married and came to live in Sion), an auto entered my road in broad daylight as the driver took it down the road, right inside my building gate to drop Vinny and her fiancé outside the building entrance. I went along in the auto, supremely confident that no cop will catch us. Believe me, there were four of them standing right outside the fish market on the highway. But then, Lord Muruga was protecting me and my family. We took a U-turn, I got off near the subway, paid the driver and walked back home. As cool as that! 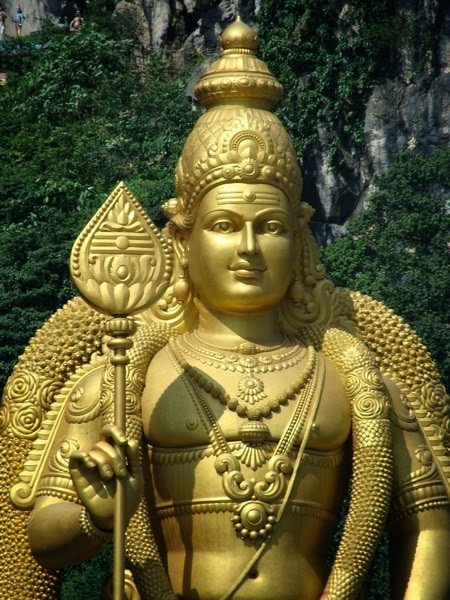 What to say about Lord Muruga’s miracle! Just THANK YOU My Lord! You are the Supreme Best! Two things had been working on my mind over the past couple of weeks. After attending the 3-chamber process at Pooja’s home twice, I have been praying to Bhagavan to become a physical part of my household. I did not like this either. 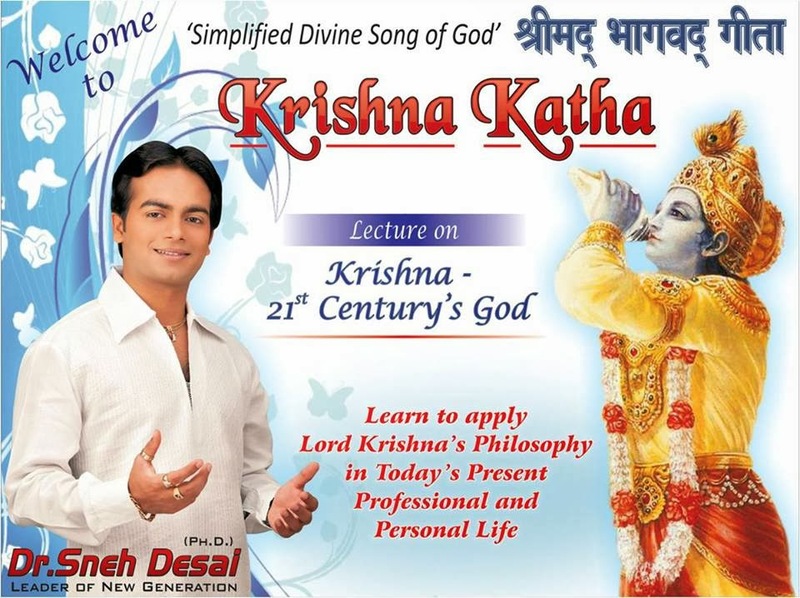 I have been attending ‘Krishna Katha’ class conducted by Dr. Sneh Desai over the past two days. It’s a four-day class and I had missed the first day as I had not been aware of it. But of course, Bhagavan knows where to send me and when. Sneh Desai had the answer to my questions, without my asking him, of course. He played Bhagavan’s messenger. Well said! But how to cultivate this attitude of gratitude? He had an answer for that as well. Maintaining a diary is a message I had been receiving since 2-3 weeks from my Antaryaamin. But I was just too lazy to follow it. But when Sneh Desai said that Gratitude is the only form of prayer & the only way to cultivate the attitude is to maintain a diary, it finally sunk into me. Bhagavan finally got the message through to me and I already started writing my gratitude diary since last night. THANK YOU SO MUCH FOR YOUR PATIENCE BHAGAVAN AND THANK YOU FOR BEING THE SUPREME TEACHER! I LOVE YOU! About three weeks ago, I had very bad skin itching. Heat spots developed all over my body – red spots of varying sizes that kept itching. Bhagavan told me that my skin was changing along with the DNA changes and He also said that I should be aware that I was fighting it. The moment I became aware of the fight, the mental irritation disappeared. He also advised me not to use any medicines, and just a body lotion. There was no question of going to the doctor, of course. As we were planning a trip to Shirdi after a few days, Bhagavan told me to go make my peace with Sai Baba (as it had been many years since I visited or prayed to Sai Baba) and Bhagavan would set right my skin after some days. Some of you might know that the weather in Shirdi is quite dry. Winter had set in at Mumbai and I expected Shirdi to be quite cold. It was not. I was worried that the hard water might irritate my skin more. 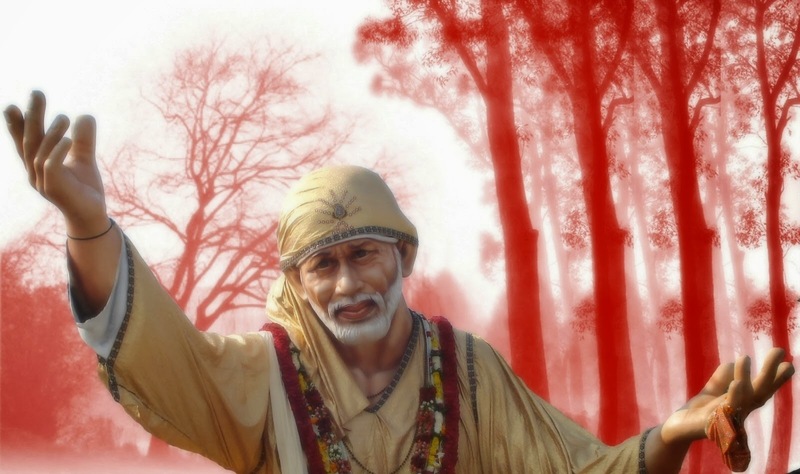 I just surrendered to Sai Baba and prayed that He take care of everything. The two times I had a bath at the hotel, I prayed that the water be sanctified by Bhagavan and Sai Baba and pour on me as a blessing. On Day 2, as I was having a bath, Sai Baba told me that the water was indeed blessing me. He said that I should not use any body lotion, just pray to God and leave things to Him. He also promised that the itching will stop. Guess what! The itching never happened after that and the heat spots just disappeared. I CAN ONLY SAY ‘THANK YOU’ WHEN ALL THE GODS ARE HOLDING HANDS TO TAKE CARE OF ME AND MY FAMILY! LOVE YOU GOD! I have heard of Angapradakshinam in association with Tirupati Balaji. 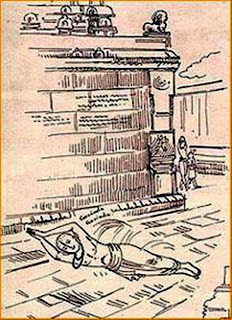 I have always wished that I should do the circumambulation of The Lord where one goes around the temple prahar rolling on the floor. 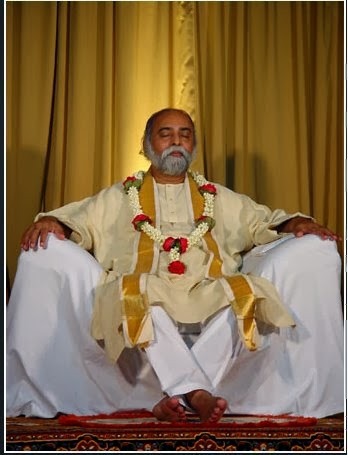 Bhagavan granted my wish when I got an opportunity to do Angapradakshinam at Oneness Temple during my Super Process. It was an amazing experience. As usual, my mind had a question about this form of worship. 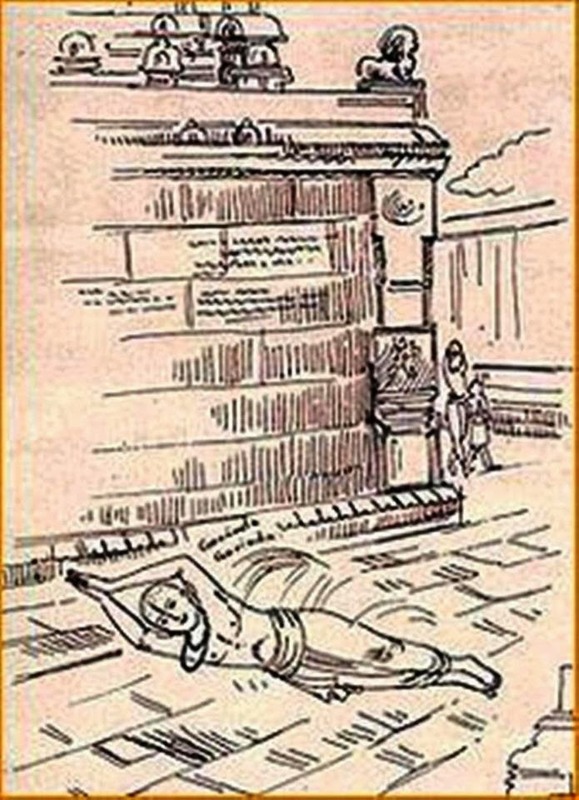 I asked Bhagavan why we roll on the ground while circumambulating. As always, He had a simple and amazing reply to my query. Angapradakshinam is exactly the same. You rotate around yourself while revolving around God’s sanctum. This exercise is done to align yourself with the movement of the universe. It’s as simple as that. What can I say! I had tears in my eyes as I heard this fantastically simple explanation from Bhagavan. ANANTA KODI PRANAM MY DEAR AMMA BHAGAVAN! THANK YOU SO MUCH! I LOVE YOU! Pooja had organised one more Bhagawat Shaakshaatkaar process at her home on October 16, 2013. I had gone along with my maids Jaya and Muni. There were about a dozen of us for the process. Pooja gave a small introduction and then we began to sing Bhajans. The moment I closed my eyes I could see Bhagavan standing in front of the altar at Pooja’s home. He appeared like he does in the single Srimurti of yonder days. He stood tall, touching the ceiling and I could see light emanating from all over Him. I requested Bhagavan to bless us. Light left His person in glowing sparks and flew into us. I asked Him to shower His Grace on each one of us. I could see the sparks coming towards each one of us and entering our Sahasrahara. We are so blessed! THANK YOU SO MUCH FOR YOUR BLESSING & GRACE, BHAGAVAN! Please don’t attempt this. It is a Divine Blessing! Bhagavan has to give it to us. All we can see is that we are unable to let go of control. That's what I did! Whenever I return home from an Oneness Process, I find that it continues for a few weeks to the point where yet another permanent change occurs within me. After the process at Pooja’s home, the first couple of days were like any other and then the mind began to do its work. I kept oscillating between breakthrough and breakdown. That’s when Amma told me to take Golden Ball Deeksha every day. I take Deeksha from the Srimurti at least thrice in a day. I took Her advice and began taking Golden Ball Deeksha. To begin with, I visualised the Golden Ball in my hands before I placed them on my head. But after the first attempt, the Golden Ball began to appear in my vision during each Deeksha. Thank you so much Amma Bhagavan! While my mind niggled that I had still not had Bhagawat Shaakshaatkaar, I slowly felt a unique peace seep within me. I began lighting a lamp and agarbatti every morning and night. Those who know me will definitely know that this is an uncommon occurrence. I am not too much into rituals and don’t follow a fixed pattern. As you can see, I light the lamp at night and that’s because that’s when I chant the Moolamantra for 21 minutes. Again, most of the days, but not every day. As we grow in Oneness, we realise that there is no compulsion to do anything and it’s best to go with the flow. How to let go of control? We can’t! And Bhagavan says that all we have to do is SEE that we are unable to let go of control. We plan our days, our weeks, our years and our lives, for that matter. Planning takes away all the energy and when do we live? He says that we don’t. We just exist. So very true! That’s because we want to control every aspect of our lives. Not just that, we want to control every aspect of our spouse’s and children’s lives. We are actually leading a tortuous existence. Bhagavan is ready, willing and definitely has a million times better ability to run our lives. But… what if He ignores my wishes? What if I am not able to achieve exactly what I want? What if this…. What if that? Questions asked by the mind. It’s actually very simple. God has created us for a purpose. That purpose will have its way, even if we take a thousand janams to achieve it. And believe me, when we are following our soul’s path, we will definitely find peace. But for that we need to let go. But is that possible? Not by our efforts. It takes the Divine Will to handle that. But how to get the Divine to help us in this matter? God has said that He will not interfere in our lives unless we call out to Him. So, call Him. That’s what I did. There were many days and nights that I have felt the pressure of wanting to control every aspect of my existence. What my Antaryaamin made me see was this: As a human being, I have a very small purview of everything. Whereas GOD has a total 360 degree view while he also knows my past, present and future. At the same time I am trying to squeeze my life into a minuscule frame that is formed by my imagination, HE is ready to hand over the universe to me on a platter, without any effort on my part. Would it not be a smarter move to give my life into His keeping? That’s how I realised the value of Surrender. Please understand that I had understood the lesson at my mind’s level at this point. Thinking ‘Surrender is best’ does not bring it about. I went on doing the Shashtang Namaskaarams every day. Not eleven times each day, may be - but definitely every day. Is there a choice? It’s Bhagavan at work here. Surrender occurred, finally, after the process at Pooja’s place. So has Gratitude. I used to lack in gratitude. I realised that because my Antaryaamin told me so. But I feel more of that emotion too nowadays. Yes, I am finally in a state of surrender, living on a day-to-day basis. I am not saying that this is ‘it’. There is still a way to go. But, looking back over the years, I have come a very very long way, all thanks to My Bhagavan. Every day, before going to bed, I tell Bhagavan that I would like to complete a set of tasks the next day. I also give Him the freedom to decide if He wants to experience those tasks through me. Then I just sit back and relax. The work gets done, completely. Most of the time I am surprised at my energy levels, my determination to complete something, my total lack of distraction, my focus, etc. Then I realised, it is not ME. It is HIM doing the work. I am just sitting back and enjoying the ride. I don’t even have the worry of wondering whether I will complete my targets. It’s not my responsibility any more. I have truly LET GO! That has been possible only because of DIVINE BLESSING! Is there a Sundari? I don’t know nor do I care. I am just GOING WITH THE FLOW. So, at the end of the day, I just thank Amma Bhagavan for doing all my work and set out another batch of tasks for the next day. I don’t feel the urge to think beyond that. HE is doing it for me, so why should I bother? THANK YOU SO MUCH MY AMMA BHAGAVAN FOR BLESSING ME WITH PEACE!